For the week of March 12-16, 2018, we have many current sitcom stars and past sitcom stars on TV talk shows! All times listed are Eastern. So get your DVRs (or whatever you use) ready! Ready? Here is all what you need to know for the coming week! Rickey Smiley (The Rickey Smiley Show) - Catch Rickey on Watch What Happens: Live at 11pm on Bravo. Yara Shahidi (grown-ish/black-ish) - Watch Yara on Jimmy Kimmel Live! at 11:35pm on ABC. Alec Baldwin (30 Rock) - Alec appears on The Tonight Show Starring Jimmy Fallon at 11:34pm on NBC. Connie Britton (Spin City/The Fighting Fitzgeralds/Lost at Home) - Connie is a guest on Late Night with Seth Meyers at 12:36am on NBC. Mindy Kaling (Champions/The Mindy Project/The Office) - Mindy visits The Late Late Show with James Corden at 12:37am on CBS. June Diane Raphael (Grace and Frankie/Burning Love/Players) - June stops by Last Call with Carson Daly at 1:35am on NBC. Minnie Driver (Speechless/About a Boy) - Minnie appears on Conan at 11pm on TBS. Ron Funches (Powerless/Undateable) - Ron is a guest on Conan at 11pm on TBS. Jimmy O. Yang (Silicon Valley) - Jimmy drops by Desus & Mero at 11pm on Viceland. 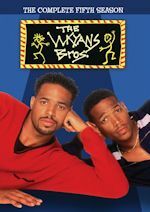 Wanda Sykes (The New Adventures of Old Christine/Wanda at Large) - Wanda chats on The Talk on CBS at 2pm ET/1pm CT-PT. Peter Krause (Sports Night/Cybill) - Peter visits LIVE! with Kelly and Ryan, so check your local listings. He also talks about 9-1-1 on the BUILD Series at 2pm. Retta (Parks and Recreation) - Retta appears on The Wendy Williams Show, so check your local listings. Jerry O'Connell (We Are Men/Carpoolers/My Secret Identity) - Jerry guest hosts The Wendy Williams Show, so check your local listings. Benji Aflalo (Alone Together) - Benji is a guest on Harry, so check your local listings. Matt LeBlanc (Man with a Plan/Episodes/Friends) - Matt appears on Steve, so check your local listings. Eve (Eve) - Eve visits Access Live, so check your local listings. Josh Radnor (How I Met Your Mother) - Josh talks about Rise on NBC's Today sometime between 7-9am and on the BUILD Series at 1pm. Lena Waithe (Master of None) - Lena appears on Jimmy Kimmel Live! at 11:35pm on ABC. Ricky Gervais (The Office) - Ricky is a guest on The Tonight Show Starring Jimmy Fallon at 11:34pm on NBC. He also talks about Humanity on NBC's Today sometime between 7-9am. Jimmy O. Yang (Silicon Valley) - Jimmy visits The Late Show with Stephen Colbert at 11:35pm on CBS. Adam Scott (Ghosted/Parks and Recreation) - Adam stops by The Late Late Show with James Corden at 12:37am on CBS. Patton Oswalt (A.P. Bio/The Goldbergs/The King of Queens) - Patton appears on The Late Late Show with James Corden at 12:37am on CBS. Terry Crews (Brooklyn Nine-Nine/Are We There Yet?/Everybody Hates Chris) - Terry is a guest on Conan at 11pm on TBS. Jerry O'Connell (We Are Men/Carpoolers/My Secret Identity) - Jerry drops by Watch What Happens: Live at 11pm on Bravo. He also guest hosts The Wendy Williams Show, so check your local listings. Mindy Kaling (Champions/The Mindy Project/The Office) - Mindy chats with the ladies of The View on ABC at 11am ET/10am CT-PT. Bernadette Peters (Mozart in the Jungle/All's Fair) - Bernadette chats with the ladies of The View on ABC at 11am ET/10am CT-PT. Dana Carvey (One of the Boys) - Dana visits The Ellen DeGeneres Show, so check your local listings. Jaime Pressly (Mom/Jennifer Falls/I Hate My Teenage Daughter/My Name Is Earl) - Jaime appears on Steve, so check your local listings. Craig Bierko (Madman of the People/Sydney) - Craig is a guest on Steve, so check your local listings. Anders Holm (Champions/Workaholics/The Mindy Project) - Anders stops by Access Live, so check your local listings. Ben Rappaport (Youger/Outsourced) - Ben talks about For the People on ABC's Good Morning America sometime between 7-9am and on the BUILD Series at 3pm. Will Forte (The Last Man on Earth) - Watch Will on Jimmy Kimmel Live! at 11:35pm on ABC. Ricky Gervais (The Office) - Ricky appears on Late Night with Seth Meyers at 12:36am on NBC. He also talks about his Netflix comedy special on NBC's Today in the 10am hour. Lena Waithe (Master of None) - Lena is a guest on Late Night with Seth Meyers at 12:36am on NBC. She also chats with the ladies of The View on ABC at 11am ET/10am CT-PT. Tony Hale (Veep/Arrested Development) - Tony visits The Late Late Show with James Corden at 12:37am on CBS. David Arquette (In Case of Emergency/Double Rush/Parenthood) - David stops by Last Call with Carson Daly at 1:35am on NBC. Jay Ferguson (Living Biblically/The Real O'Neals/Evening Shade) - Jay is a guest on Last Call with Carson Daly at 1:35am on NBC. Krysten Ritter (Don't Trust the B---- in Apartment 23) - Krysten appears on Comedy Central's The Daily Show with Trevor Noah at 11pm. Louie Anderson (Baskets/The Louie Show/Life with Louie) - Louie is a guest on Desus & Mero at 11pm on Viceland. Sean Hayes (Will & Grace/Sean Saves the World) - Sean visits The Ellen DeGeneres Show, so check your local listings. Nick Robinson (Melissa & Joey) - Nick drops by The Ellen DeGeneres Show, so check your local listings. Jazz Smollett (On Our Own) - Jazz appears on The Real, so check your local listings. Tony Rock (Living Biblically) - Tony guest co-hosts The Real, so check your local listings. Lauren Ash (Superstore/Super Fun Night) - Lauren is a guest on Rachael Ray, so check your local listings. Constance Wu (Fresh Off the Boat) - Constance will be on ABC's Good Morning America sometime between 7-9am. Mark Duplass (Togetherness/The Mindy Project/The League) - Mark talks about Wild Wild Country on the BUILD Series at 2pm. Zach Braff (Alex, Inc./Scrubs) - Catch Zach on Jimmy Kimmel Live! at 11:35pm on ABC. John Cleese (Wednesday 9:30 (8:30 Central)) - John appears on Late Night with Seth Meyers at 12:36am on NBC. Walton Goggins (Vice Principals) - Walton is a guest on The Late Late Show with James Corden at 12:37am on CBS. Selma Blair (Anger Management/Kath & Kim/Zoe, Duncan, Jack and Jane) - Selma visits Conan at 11pm on TBS. Burt Reynolds (Evening Shade) - Burt stops by Watch What Happens: Live at 11pm on Bravo. He also talks about The Last Movie Star on NBC's Today sometime between 7-9am and the BUILD Series at 2pm. Ricky Gerais (The Office) - Ricky chats with the ladies of The View on ABC at 11am ET/10am CT-PT. Connie Britton (Spin City/The Fighting Fitzgeralds/Lost at Home) - Connie appears on LIVE! with Kelly and Ryan, so check your listings. Brian Tyree Henry (Atlanta) - Brian drops by LIVE! with Kelly and Ryan, so check your listings. Craig Robinson (Ghosted/Mr. Robinson/The Office) - Craig is a guest on The Real, so check your local listings. Lori Loughlin (Fuller House/Hudson Street/Full House) - Lori appears on Steve, so check your local listings. Tia Mowry (Instant Mom/The Game/Sister, Sister) - Tia visits Steve, so check your local listings. 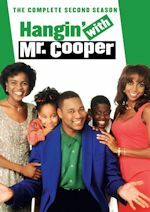 Holly Robinson Peete (Hangin' with Mr. Cooper/For Your Love) - Holly and her husband Rodney are guests on Access Live, so check your local listings. Queen Latifah (Living Single) - Queen Latifah gives the scoop on her hit show Star on a repeat of Rachael Ray, so check your local listings. Kara Royster (Youth & Consequences) - Kara is a guest on Home & Family on Hallmark Channel at 10am ET/PT. Kal Penn (We Are Men/How I Met Your Mother) - Kal and Carla Hall are serving up a dish to be devoured on ABC's The Chew at 1pm ET/12pm PT/CT. Yara Shahidi (grown-ish/black-ish) - Watch Yara on a repeat of Jimmy Kimmel Live! at 11:35pm on ABC. Donald Glover (Atlanta/Community) - Donald appears on a repeat of The Late Show with Stephen Colbert at 11:35pm on CBS. J. J. Totah (Champions) - J. J. is a guest on a repeat of Late Night with Seth Meyers at 12:36am on NBC. Josh Radnor (How I Met Your Mother) - Josh appears on LIVE! with Kelly and Ryan, so check your listings. Kelly Ripa (Hope & Faith) - Kelly visits The Wendy Williams Show, so check your local listings. Josh Henderson (One on One) - Josh visits Access Live, so check your local listings. Drew Barrymore (Santa Clarita Diet) - Drew talks about Santa Clarita Diet on NBC's Today in the 10am hour. Adam attempts to organize a birthday dinner for Andi and he discovers that managing guests isn’t easy. Jenna Dewan Tatum returns as Jen, Lowell’s wife, and Sherri Shepherd and Tim Meadows return as Joy and Rudy Randall, Adam and Andi’s neighbors. After several sleepless nights due to loud neighbors, Chip asks Rabbi Gil and Father Gene for advice on loving thy neighbor. Capt. 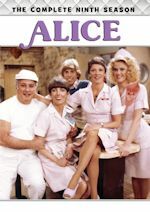 Dave invites Ronnie to stay with him with other airline workers after she is evicted from her apartment and kicked out of living at Bernard's; when Colin gets upset by his poor student reviews, Nichole and Bernard help give him some advice. 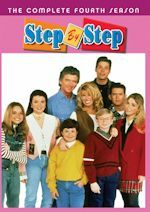 Mickey gives Sabrina the responsibility of babysitting Ben while she and Jimmy are out for the night, but when Sabrina decides to have a night out with her friends instead, she and Mickey are sent to jail over an argument; Jimmy makes a new friend. In the season premiere, Jay forces the family to take their family vacation on a houseboat on a lake in an effort to create memories that will last long after he’s gone. Meanwhile, Mitchell runs into an old flame that opens some old wounds; Cam has to stay out of the sun at all costs; Phil and Claire try out some adventureous excursions; and the kids’ quest for a good time may not be as fun as they expected. Johnny joins the Jazzagals; David and Steve set out on a romantic getaway. At the CAC Finals, Barry reveals Joe and Claudia's secret deal to the Fitness by Force team; Barry steals all of Joe's moves for the Singles competition, forcing Joe to pull out all the stops for his routine. Benji is excited when he is given the opportunity to make a music video. When Jack (Glenn Howerton) is attracted to a student's mother (guest star Erinn Hayes) at a parent-teacher conference, he feigns interest in her son, Colin (Tucker Albrizzi). A group of parents complain to Principal Durbin (Patton Oswalt) when they notice a piece of controversial student art from Mary's (Mary Sohn) class. Michael is desperate to see New York but is unable to as Vince still hasn't told the gym he has a secret son. Paige's childhood best friend, Izzy, comes to town; Paige becomes envious of how well Frankie and Izzy hit it off and starts to feel like a third wheel. After their requests drive Kickbutt to quit, Max and Phoebe get what they want when Hank is named the new SuperPresident; being the First Family of the Hero League takes its toll on the family. Arc's predecessor on the Phoenix Squad returns, bumping Arc to the Kraken Squad while his friends secretly work to get rid of their former partner. After the graveyard incident, Tandy and Todd try to convince the rest of the gang that something is wrong with Karl.